8 channels of high powered digital mixing. The VRH-600 is a 500 watt, 8-channel mixer that is built to deliver audio at high levels while maintaining rich sonic character. 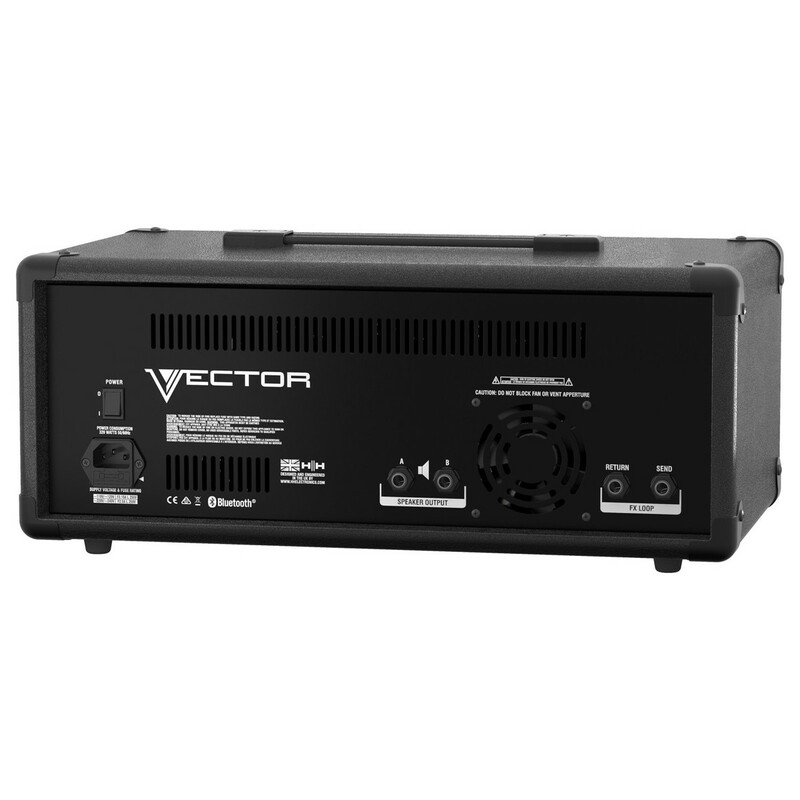 The class A/B amplifier provides power and efficiency as part of its hybrid circuitry. 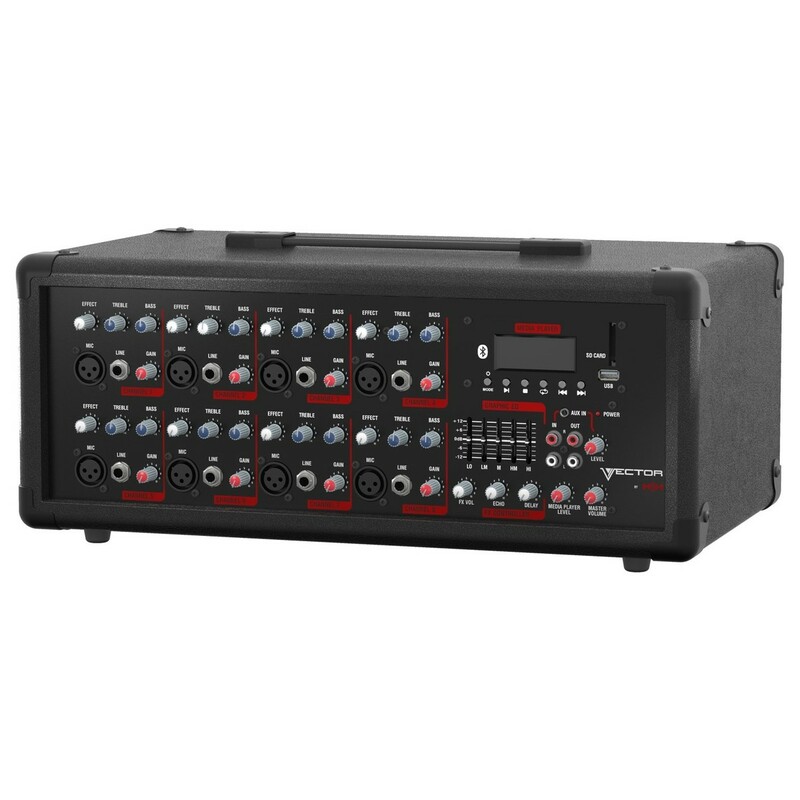 Each channel can receive microphone and line level devices and these can be adjusted independently with specific bass and treble controls. This gives you quick access to frequency attenuation and amplification when you need it in a hurry. It is also equipped with an onboard media player, which enables playback through many different formats, including USB, SD, and Bluetooth. On top of all these great features is a 5-band graphic equaliser offering a final stage of audio correction. Mix your audio and fine-tune your sound. High powered mixing for music and presentations. Mixing audio has never been easier. The simple to read and intuitive rotary layout of the VRH-600 means that you can quickly mix all your audio signals in one place. There are eight channels in total, meaning that the VRH-600 is ideal for small to medium venues or for houses of worship. Each of these channels can be used with either line level or microphone devices. This versatility means that VRH-600 can tackle any job you throw at it. The VRH-600 is capable of playing music across an array of formats. Whether you're playing music on USB, SD card, and Bluetooth - the VRH-600 delivers your backing tracks with power and clarity. 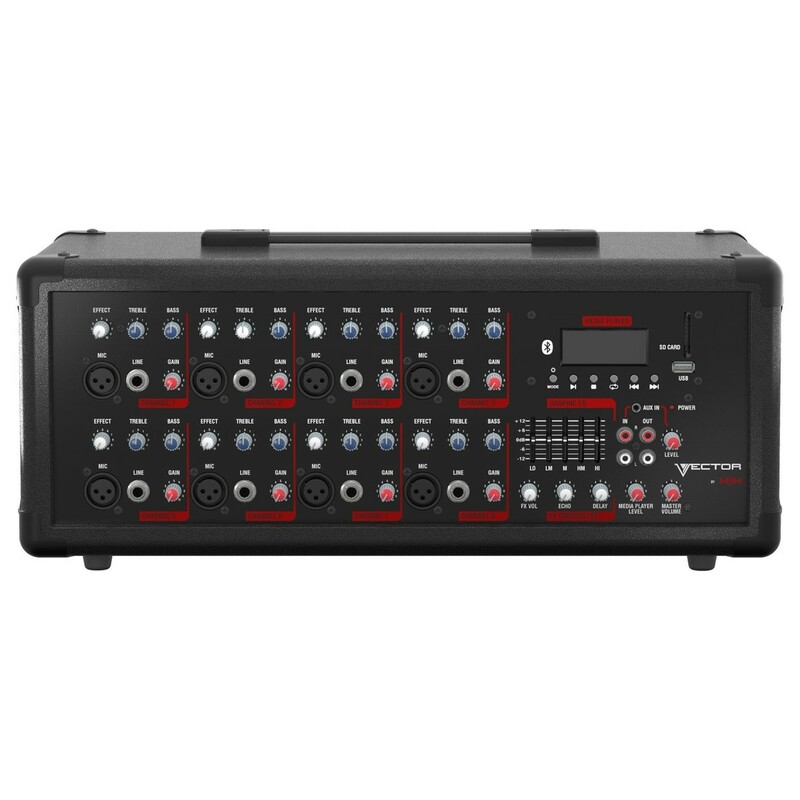 This capability makes the VRH-600 mixer ideal for playing background music, presentations, and performer's backing tracks. Once all your audio sources are mixed, they're almost ready to be sent out to your speaker system. Before that, however, your signal goes through a very effective graphic EQ. 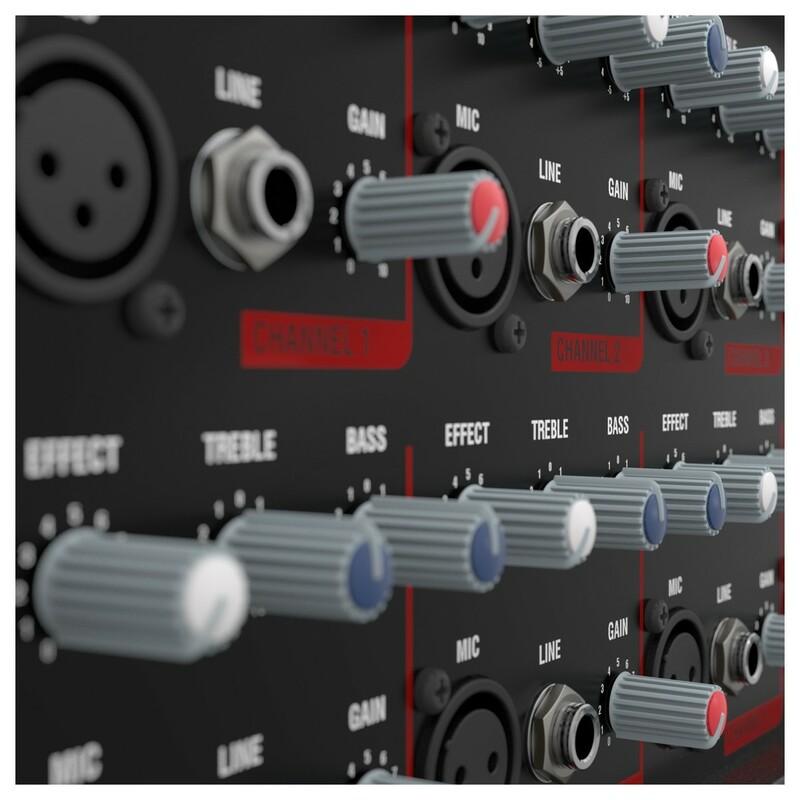 This 5-band equaliser allows you to fine-tune your audio before sending it out into the big wide world and is just another example of the deep level of control that the VRH-600 mixer provides you.